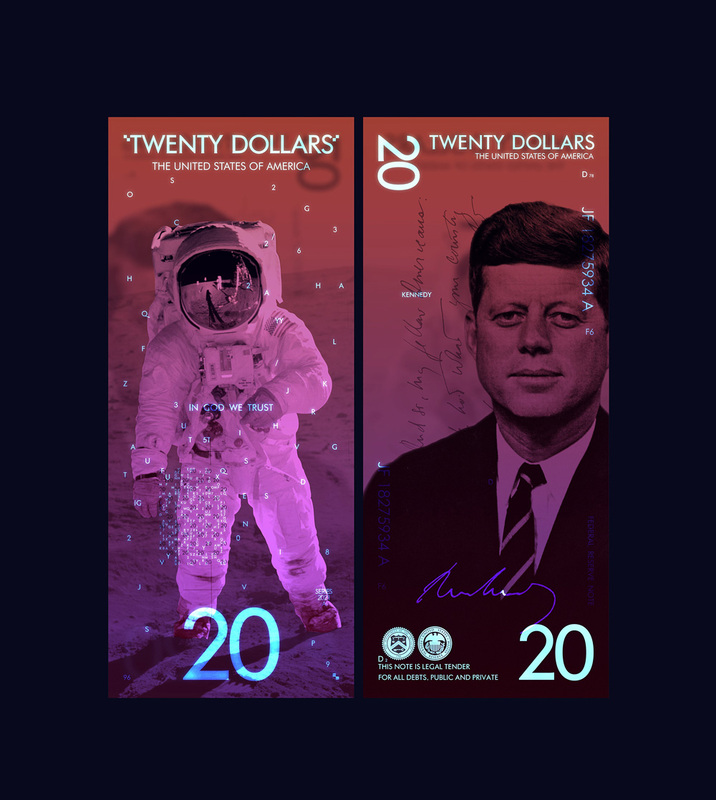 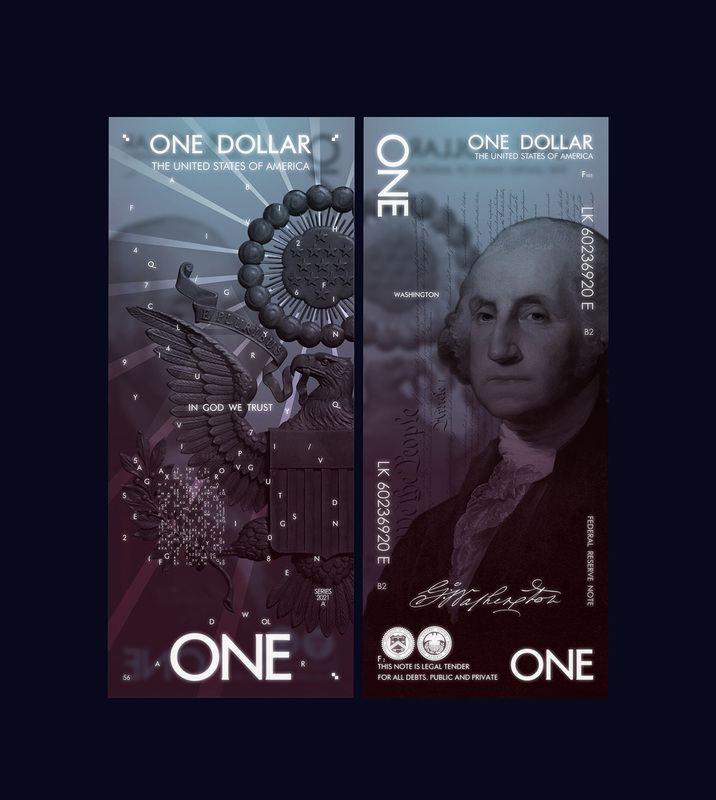 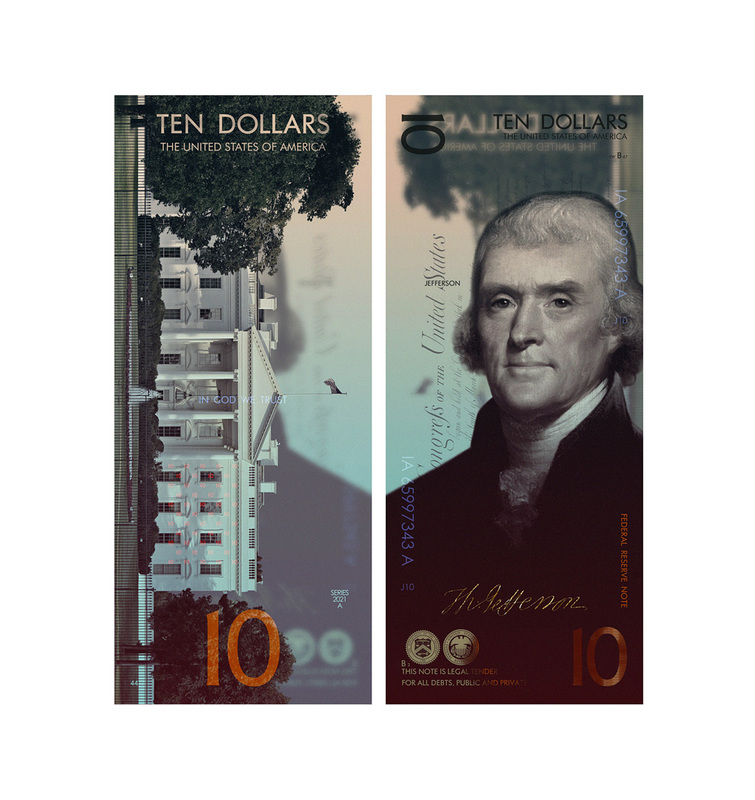 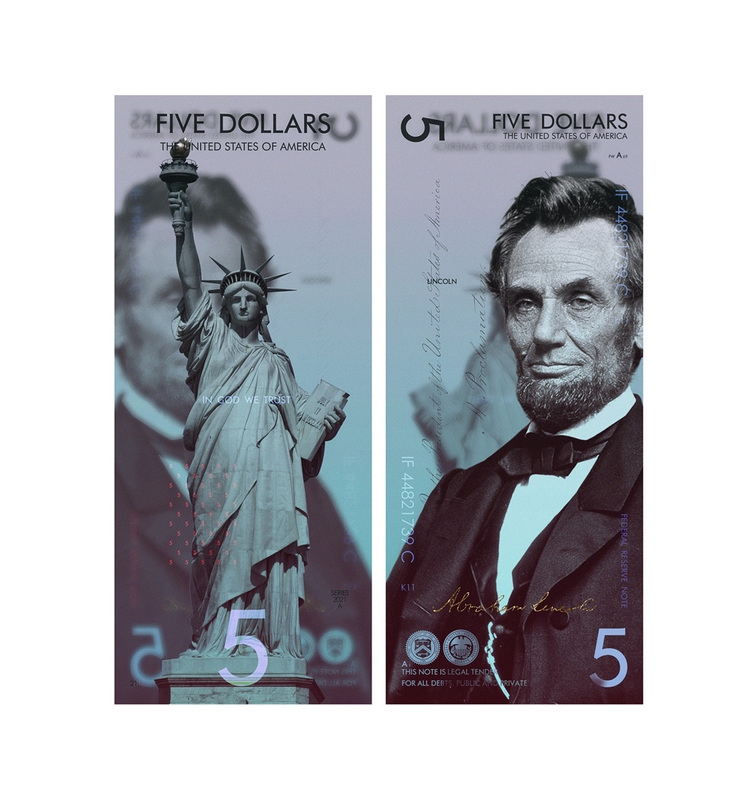 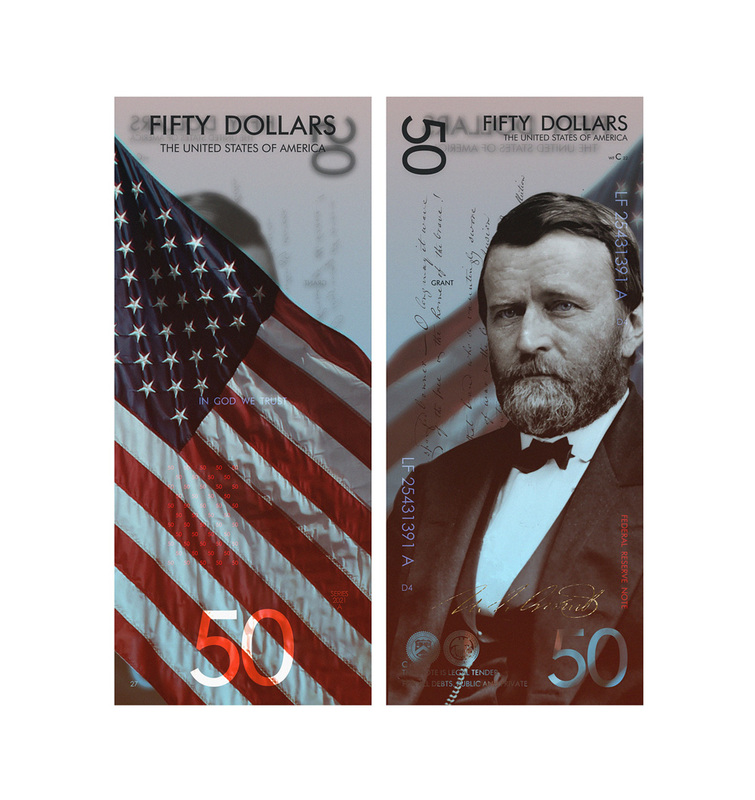 Home Graphic Design Inspiration How New Modern US Dollar Notes Might Look Like? 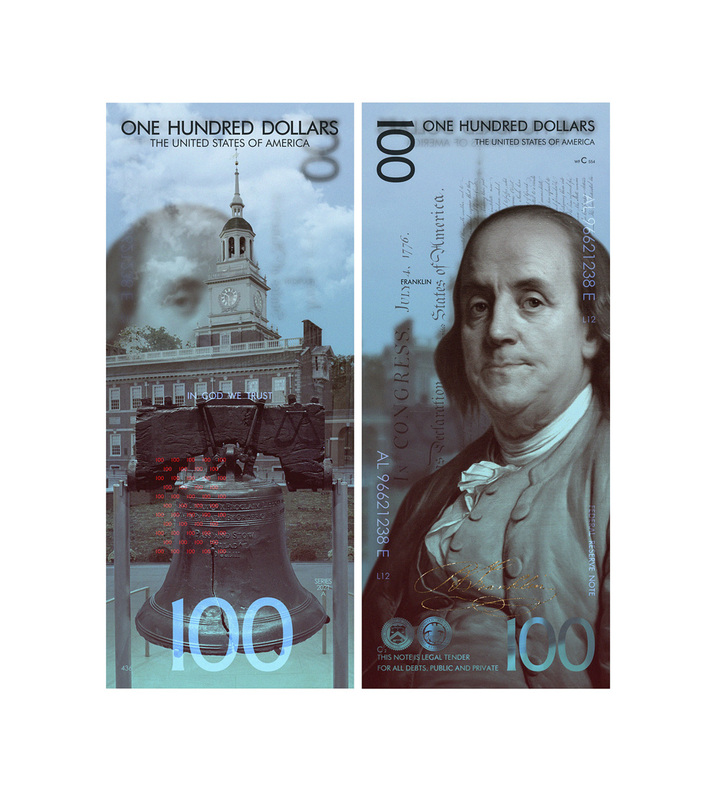 The vision of the new design of US Dollars was presented by the Belarusian designer Andrey Avgust. 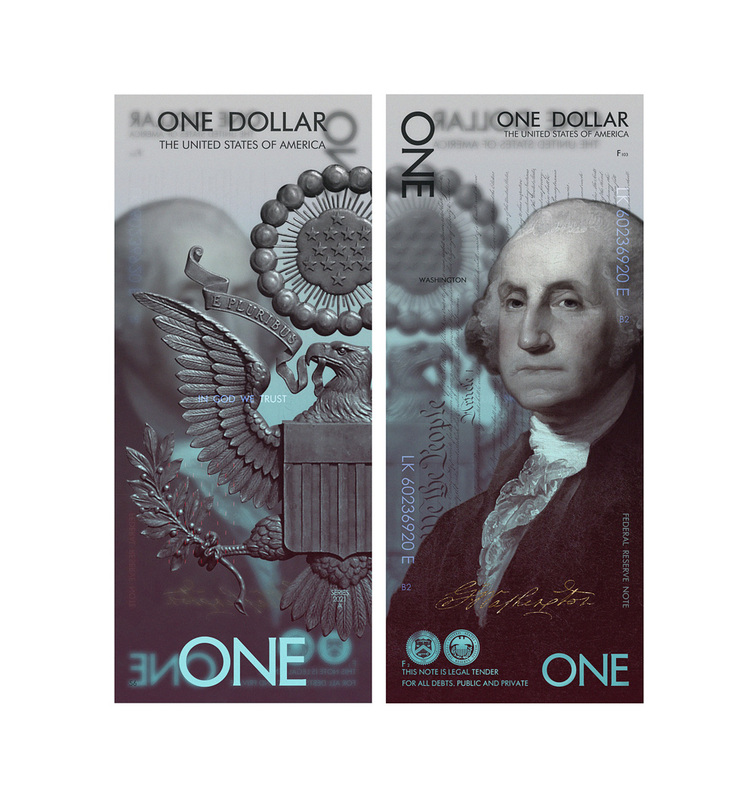 A distinctive feature of the new design is the vertical arrangement of the first presidents and politicians of America. 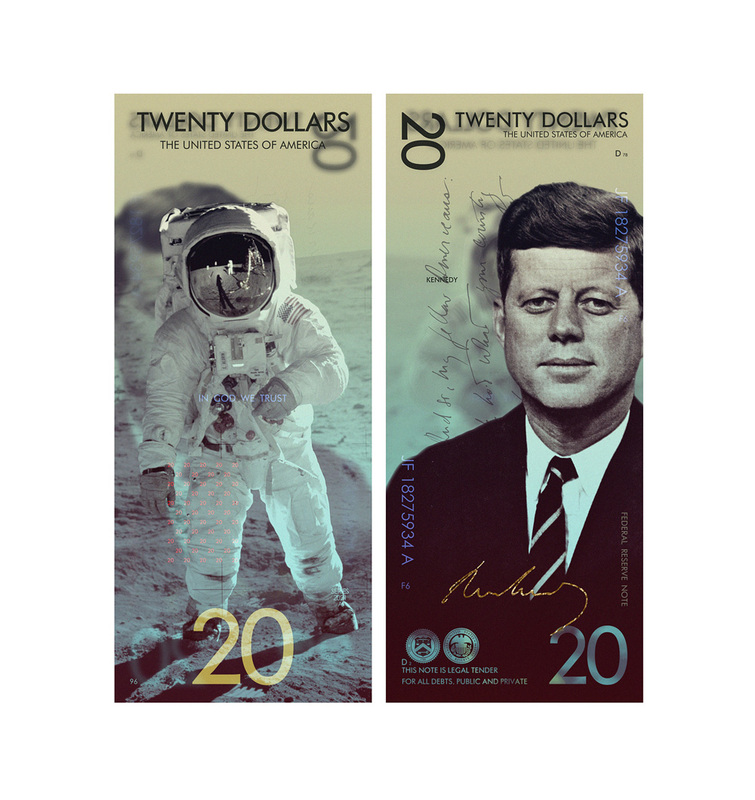 Also they have more depth and detail than current versions. 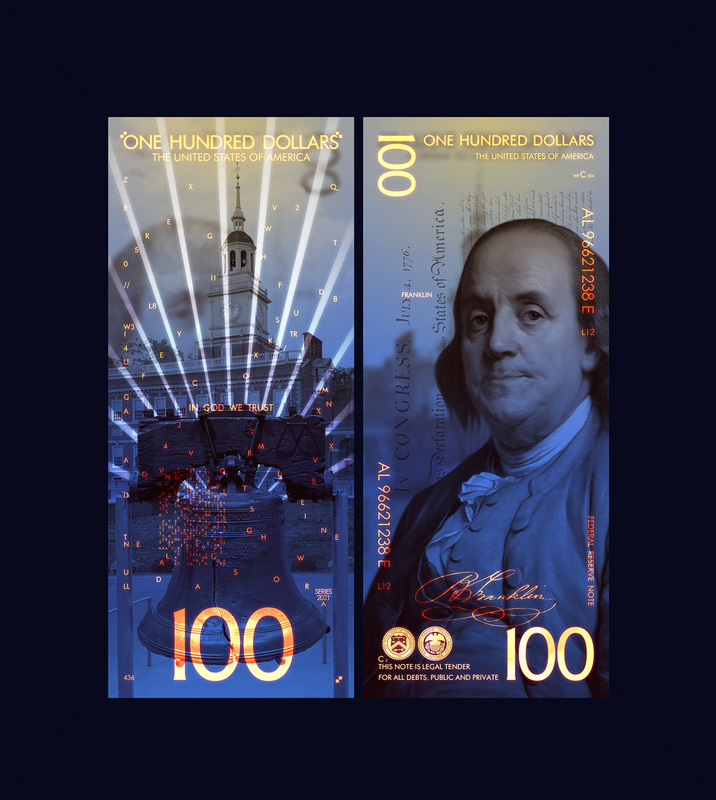 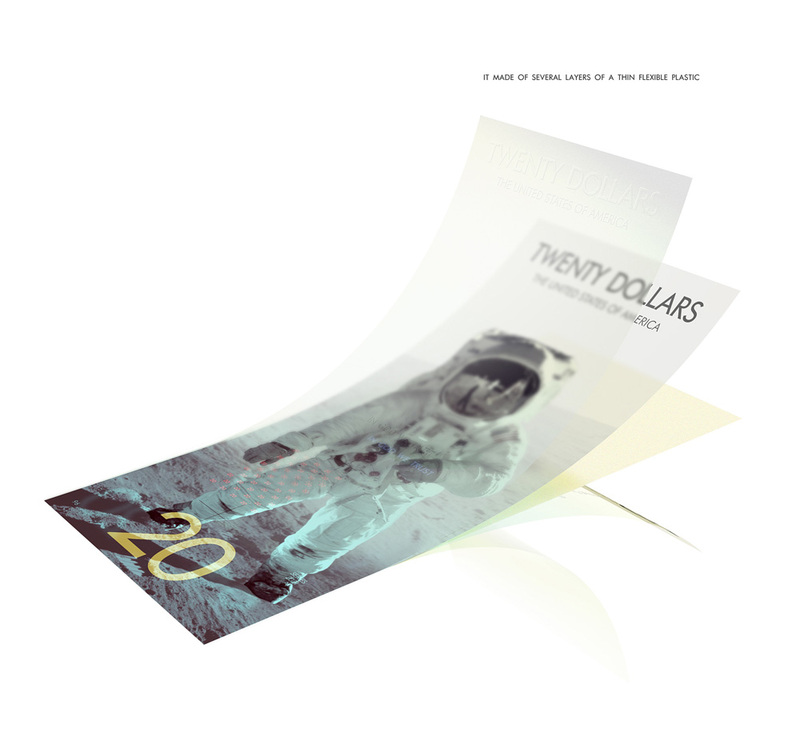 More durable than paper currency, the design is made entirely of thin flexible layers of polymer. 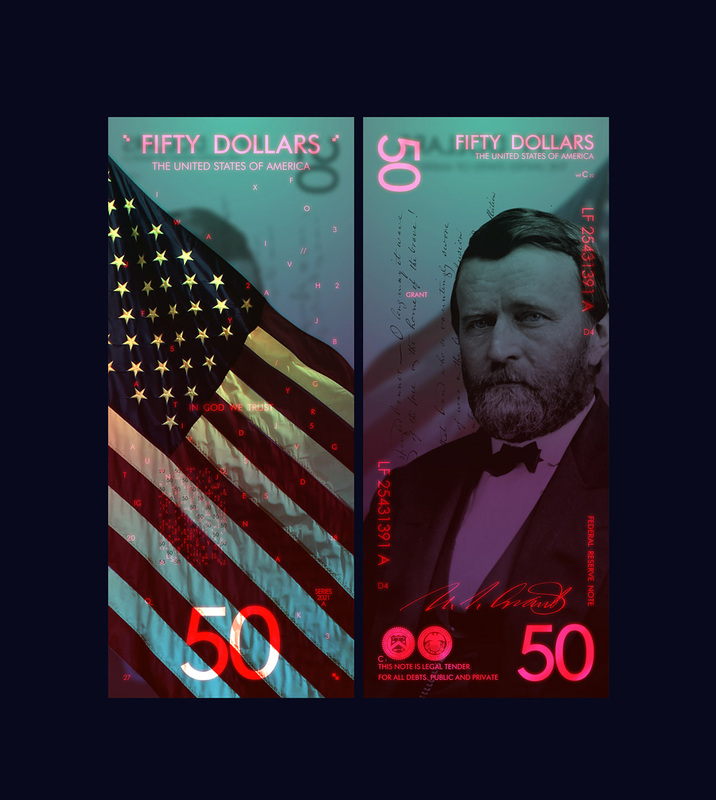 Some of its security features include unique PGP encrypted QR code and individual numbers printed by metameric inks that can be viewed under UV light. 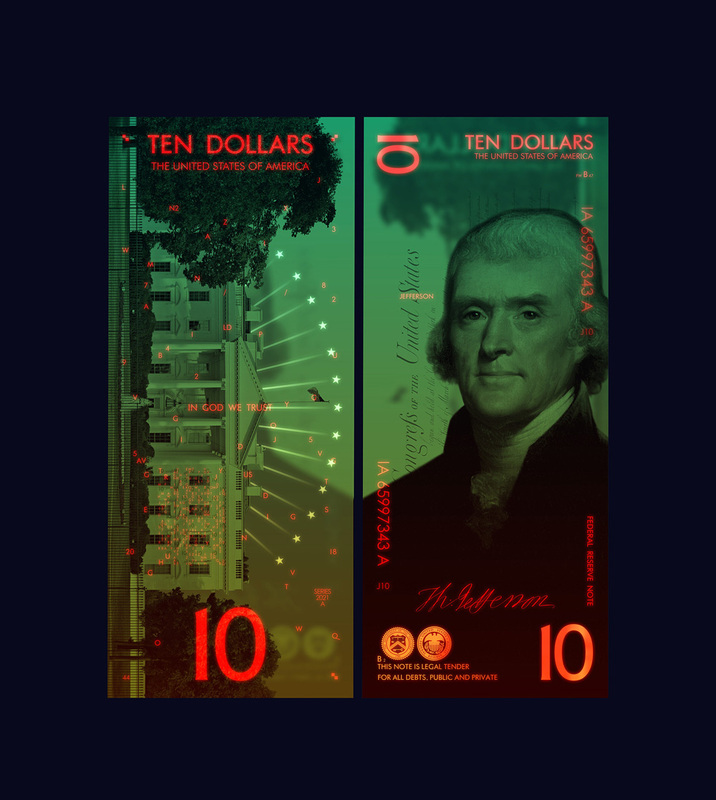 If you thought they were cool in regular light, just look at them in the dark. 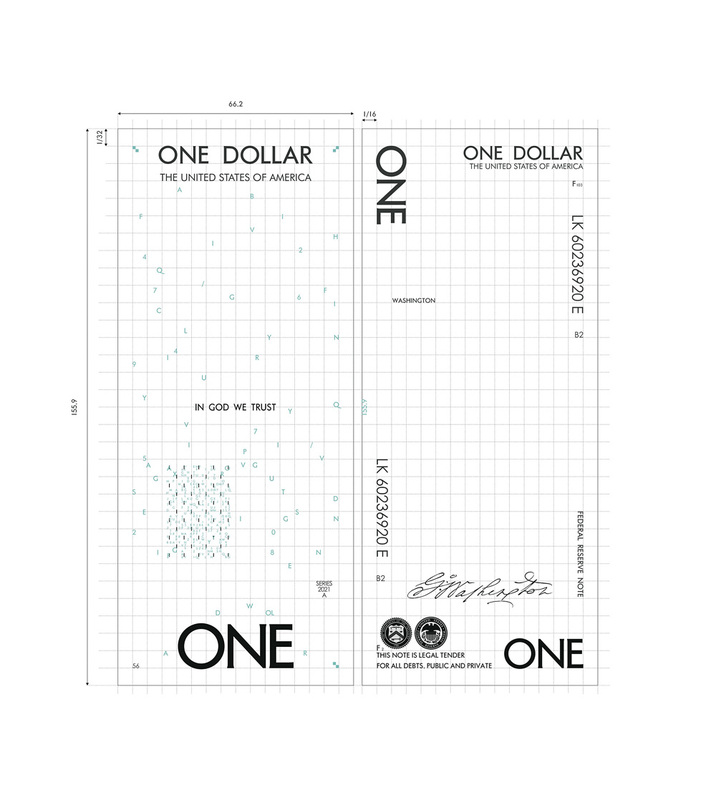 At the moment this is just a personal projet but it’s very impressive.